How did Bishan Junction 8 get its name? We are so used to seeing our Singapore flag – a familiar sight at our morning assembly and during national day celebrations – that we probably never stop and think about its origins. I must have been very young, probably during an eraser game or while admiring my box of flag erasers, that I became acutely aware of the similarity between our flag and Indonesia’s. The crescent moon with its religious connotation dawned on me only later when I realized the “star and crescent” as a popular symbol for Islam. I used to speculate on its origins until this evening, when I had the chance to read from one person his authoritative version of the origin. Some history first. 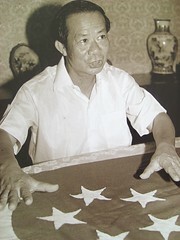 The flag was designed by a committee headed by Deputy Prime Minister Dr Toh Chin Chye in 1959, the year we achieved self-government. The three most important symbols of our nation – flag, state crest and national anthem – were unveiled on 3 December 1959 at the installation of the second Yang di-Pertuan Negara Yusof bin Ishak. ** The fourth important symbol that is our pledge was written in 1966 by S.Rajaratnam, our Foreign Minister. I used to think our first President Yusof Ishak was also the first Yang di-Pertuan Negara (meaning Head of State in Malay). This is not true and I realized my mistake only a few months ago. 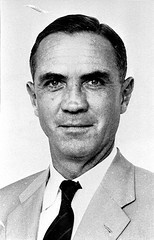 The last governor William Goode was the first Yang di-Pertuan Negara. First Yang di-Pertuan Negara and Last Governor William Goode (left). 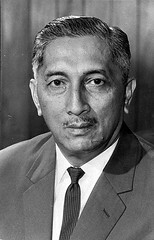 Yusof Ishak, First President but second Yang di-Pertuan Negara (right). Red symbolises universal brotherhood and the equality of man, while white signifies pervading and everlasting purity and virtue. The crescent moon represents a rising young nation. The five stars stand for the nation's ideals of democracy, peace, progress, justice and equality. When I first read the description, I thought the symbolism intended was bland and hardly inspiring. The choice of representation is also inappropriate. While purity and virtue are to be everlasting, the explanation for the crescent is clearly not – how can we be forever a rising young nation? Will the flag be irrelevant 200 years later? Initially I thought the committee, uncreative and running out of ideas, simply plagiarized the Indonesia flag and added in a crescent and few stars for good measure, since crescent and stars are common symbols for flag design. Then I found out the committee did not start from a blank slate and plagiarize, instead they try to reconcile the inputs from different races. So the rumour about our flag having racial/religious origins is true. There had been much ado over the flag, for again racial sentiments had to be respected. The Chinese-speaking wanted red for good fortune, the Malays red and white, their traditional colours for courage and purity. The Chinese, influenced by the five yellow stars on the flag of Communist China, wanted stars. The Malays wanted a crescent moon. We settled for a crescent moon with five white stars instead of the traditional one star for Islam. The five stars represented the five ideals of the country: democracy, peace, progress, justice and equality. Thus we reconciled different racial symbols and ideals. ** I think the inputs are not very representative of our multiracial society as symbols and ideals from the Indian subcontinent are not mentioned. I wonder why Indians did not clamour for a saffron flag with wheel, for example. I suppose Indian racial or nationalistic sentiments were not major themes in the Singapore Story and practically nonexistent after Subhas Chandra Bose and the Indian National Army. According to the PAP website, the white represents "purity of purpose", "honesty and integrity", "clean and corruption-free"; the white uniform has to be worn at election campaigns and at the National Day parade. So a red and white background was chosen. 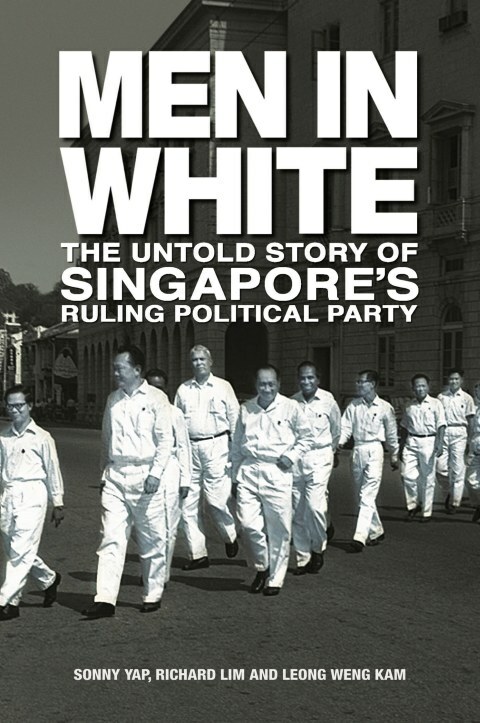 White as a symbol for purity was used by the PAP for their “party uniform”; the clean and incorruptible men-in-white entered our subconscious. Red must be a symbol for courage in many cultures; it reminds us of blood and elite forces like commandos wear a variation of the red beret. Just to be doubly sure red and white are traditional Malay colors for courage and purity, I checked out explanation for the Malaysia and Indonesia flags – the Jalur Gemilang (Stripes of Glory) and Sang Saka Merah Putih (Lofty Red White) respectively. I have since confirmed the association. 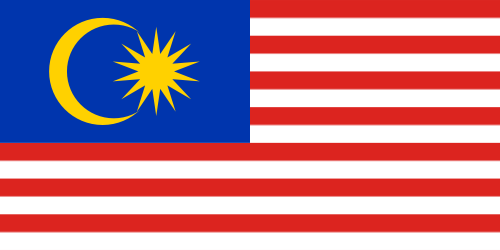 The Jalur Gemilang with each alternating stripe representing one Malaysian state. If you look carefully, there are fourteen stripes but there are only thirteen states today, so how? Like us, the Malaysian flag also has some "dark history" behind. Today, the last stripe represents the federal government. The Merah Putih. Unlike Malaysia, Indonesia is a unitary republic and a non-Islamic state according to constitution, despite having the largest Muslim population in the world. The design is classically simple (do not confuse the white part of the flag with my blog background!). 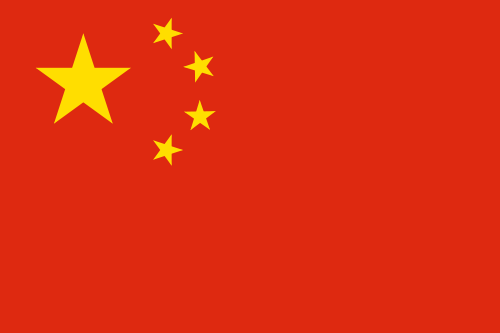 The Chinese flag is set on a uniform red background and instead of stars and crescent, it has only stars: one big star with four smaller stars beside. There is no hammer and sickle like the Soviet version. I like the simplicity of the design. The five yellow stars do not symbolize five lofty ideals; instead they stand for the unity of people under the leadership of the Communist Party of China (no prize for guessing who the big star represents). According to official explanation, the four stars denote the four social classes categorized by Mao Zedong: peasants, workers, petty bourgeoisie and patriotic capitalists. We could have taken this idea from the Chinese: use the four small stars but put a multiracial spin on them (again no prize for guessing who the big star represents). On second thoughts, I shudder at the idea – do we want the CMIO label to stick with us forever? The "Five Star Red Flag" (五星红旗) of the People's Republic of China. No hammer and sickle like the Soviet flag (but they are present on the Communist Party flag). Is there a similarity between Malayan(sian) Chinese Party, MCA and the Kuomintang flag? The "extra" star on Malaysian flag = Singapore? so, in time, the crescent will evolve into a full moon? on the swimming trunks of the water-polo players, the crescent looks like something else...seomthing edible. This is the best time to "STAND UP FOR SINGAPORE" to the tune compose dby Clement Chow? maybe now you can start to discover about Monaco ... the flag the same as Indonesia red and white , only different scale 2:3 vs 4:5 haha.. So Singapore has became the Banana Republic? Indonesian flag based on Majapahit Kingdom's banner from 13th century. Thanks for highlighting that, anon. That means when Majapahit overran us many centuries ago, they could have planted their flag on our soil - voila, the proto-Singapore flag!